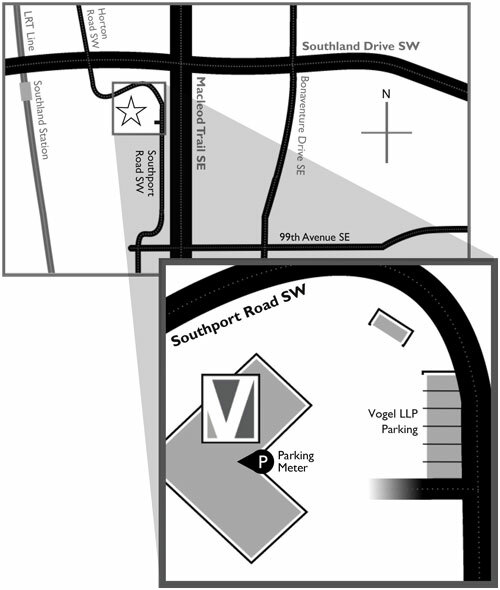 Our firm has 7 designated outdoor parking spots in the NE corner of the parking lot marked as reserved for Vogel LLP. If your meeting is expected to take more than two hours, be sure to take advantage of the free parking in one of our Vogel LLP assigned stalls to avoid having your vehicle ticketed. Please register your vehicle with our receptionist if you are parked in one of these stalls. If the reserved spots are not available please park in the general visitor parking. You will be required to register your vehicle at the parking meter in the building lobby. 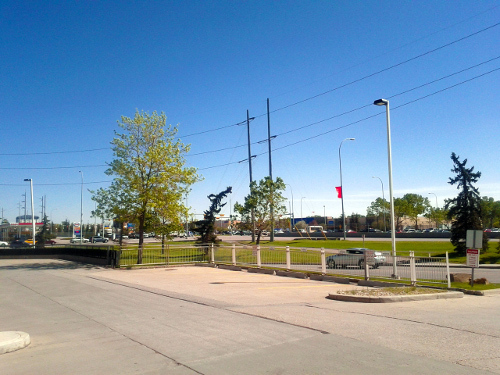 The first 2 hours of parking will be free, and additional time may be purchased for a daily maximum of $10.00. Click here to download the PDF version of the Map & Parking Guide.